Every SEO expert has learnt that old techniques no longer work since there are constant changes in search engine algorithms. You always need to update your skills of search engine optimization to boost your Google ranking and get top spots of other search engines. 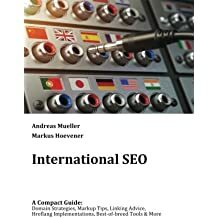 Check these latest SEO books and look for any new SEO techniques you can use in 2018. Implement the fresh new techniques on your site and achieve the optimal search performance in Google and other top search engines. Read one of the following books and learn how the authors are talking about the new tactics to improve your Google ranking and traffic. If you are looking for our suggested best books, check these Top 10 Best Books of SEO. There are many SEO guides, books and services around you that claim they can put your website in the first page of search engines. According to the author, the book will teach you where to start and grow your business to the next level. You’ll learn the fundamentals of getting ranks and find answers to the secret of achieving your desired ranking and improving the online campaigns and website performance. Many website owners use black hat SEO techniques to rank high in Google and other search engines. But their websites got penalized with Google’s new algorithmic updates. 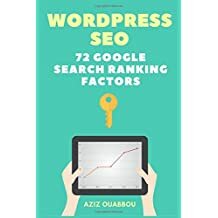 According to Aziz, Google uses 200+ ranking factors. If you apply safe rules of Google, your website will never be impacted by Google ranking factors. The author says, if you can apply only 72 ranking factors, your WordPress website will rank high and get lots of free organic traffic. 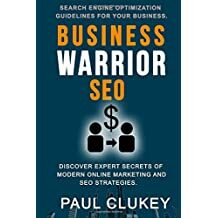 The latest edition is originally the top selling SEO book at Amazon. 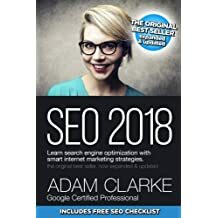 In this book, Adam Clarke discovers new SEO secrets of Google for 2018. You’ll learn SEO concepts for beginners and advanced, tricks to get local SEO rankings, inner workings of Google algorithm, ways to find best keywords, link building strategies to push up your rankings, using social media and web analytics, 25+ SEO tools to automate SEO to save time and efforts, steps to recover from Google penalties etc. Read the book and apply the new techniques. In this new book, learn domain strategies, markup tips, linking strategies, Hreflang implementation, best tools etc. The latest book for global online marketers! 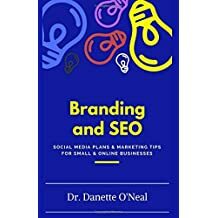 This small book will teach you to enhance your brand visibility and presence to achieve your business goal through SEO and social media marketing techniques. A new book for those who want to grow their business through the power of branding! SEO checklist is important to look up the ranking factors for your website. 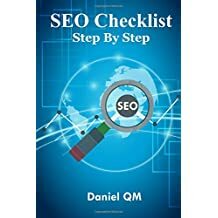 In this book, you’ll learn SEO checklist more importantly for on-page SEO, off-page SEO, Off-side SEO, image optimization etc. 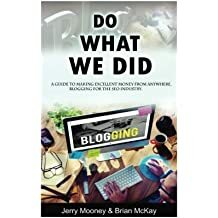 In this newest book, the authors tell the story of their online business success. You can use their ways without any previous experience. You’ll need a little bit work and a small investment. You’ll learn to establish your business entity, initial website considerations and designs, social media, domain authority, growing your audience, helpful resources and more. With SEO writing, you can make earnings in your spare time, work when and where you want and create your own schedule without anyone’s dependence. The book teaches you SEO writing, to improve writing skills and earn extra income. 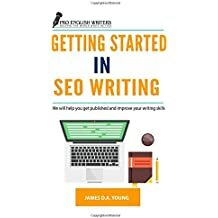 The book will also reveal different tools you can use for SEO writing. Google ranking factors are hard to know. Google doesn’t want anyone know their ranking factors. 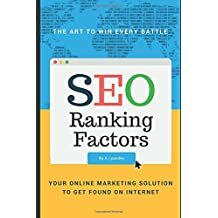 But the author reveals you the SEO ranking factors based on his long experience and regular Google algorithmic updates. The book uncovers the secrets to achieve top positions of Google search results and SEO tricks and facts. This book is not for search engine optimization tips and tricks. Instead, the book teaches you to set up a successful business of SEO services for clients. 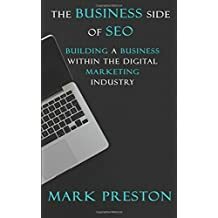 With the author’s 15 years of business experiences, the book teaches you how to do SEO for clients properly and profitably. I will update the above list of latest SEO books as often as I can. However, you can view yourself the up-to-date list anytime, Click Here. If you have any comment after you read any of the above SEO books, please leave your valuable comments below. Thanks for these books. All are quite good. Personally, I like the moz’s official and that is also one of the great for a newbie. Great list of books on SEO. Will read them and hopefully will be able to improve my site’s ranking. Thanks for sharing.